Political analyst Abdul Razak Baginda was today acquitted by the High Court here of abetting in the murder of Mongolian national Altantuya Shaariibuu. Chief Inspector Azilah Hadri, 32, and Corporal Sirul Azha Umar, 37, who are members of the police Special Action Force (UTK), were, however, ordered to enter their defence to the charge of murder. The prosecution is expected to file an appeal against Razak’s acquittal. Altantuya was allegedly shot before her body was blown up with explosives two years ago. Azilah and Sirul are jointly charged with murdering Altantuya, 28, at a location in Mukim Bukit Raja, Selangor between 10am on Oct 19, 2006 and 1am the following day. Razak, 47, was charged with abetting them. 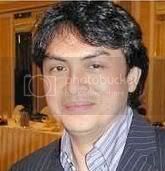 He is a close associate of Deputy Prime Minister Datuk Seri Najib Razak, and was known to have worked on government weapons procurement projects while Najib was Defence Minister. The prosecution closed its case against the trio on June 23 after 151 days of testimony from 84 witnesses. It does not matter what the grounds are for the acquittal of political analyst Abdul Razak Baginda. It does not matter that he is now a free man and should enjoy the benefits of being a free man discharged and acquitted of abetting in the murder of his former lover Altantuya Shaariibuu. Ultimately, today’s decision by the Shah Alam High Court leaves more unanswered questions and will only become fodder for the conspiracy theorists. The fact that the two policemen, Chief Inspector Azilah Hadri and Cpl Sirul Azhar Umar, will continue to face the murder charge will almost certainly ensure many Malaysians will be suspicious of the whole affair. Regardless of whether it is fair or not, Razak’s acquittal will only go further to fuel rumours and speculation about the involvement of Deputy Prime Minister Datuk Seri Najib Razak. That has become the nature of politics in Malaysia. Razak is, of course, a close associate of Najib. When the political analyst was first arrested in 2006, Najib was, of course, quite concerned with what was happening to his friend. The DPM‘s subsequent involvement with securing legal counsel for Razak has become the subject of recent allegations that he may have interfered in investigations. A recording of text messages between Najib and prominent lawyer Datuk Shafee Abdullah was published on blogger Raja Petra Kamarudin‘s Malaysia Today website in what was a clear attempt to tarnish the DPM’s name and link him with improper behaviour. But that was just the latest in a series of hammer blows sustained to the reputation of Najib since the murder in 2006. It has not helped Najib’s reputation that a private investigator made a statutory declaration that Najib knew the murder victim and then retracted it the next day before disappearing. Doctored photographs and other wild allegations also made their way to the Internet. In all fairness, Najib has conducted himself with a certain degree of dignity considering the allegations thrown at him. But two years of mud-slinging and some of it has stuck in the mind of many Malaysians. This is the thing — you say something often enough, even if it is not true you will start believing it. 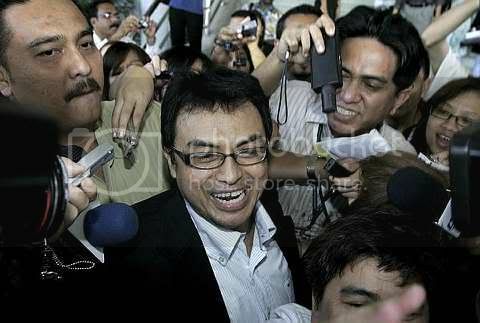 As Razak left the court house today he was surrounded by hordes of press photographers and reporters whom he calmly told to move aside so that he could go home. After nearly two years the ordeal is finally over for him. But for his close friend Najib, this will be a bitter-sweet moment. His friend is acquitted, but the acquittal will almost certainly give rise to more allegations against him. haha.. surely, malaysian will wonder who was the real mastermind? Razak’s friend will be scared to death! Shah’s last blog post..Growing to your Maximum Potential; How?